Reprint. Lift-the-flap book Board book. 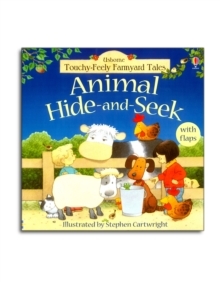 In a large format with flaps as well as textured patches, this book introduces the characters from Apple Tree Farm to young children. The use of textures adds a different dimension to sharing books with babies and toddlers. As each page is turned, a different texture is waiting to be discovered.